SEATTLE – Mike Hopkins isn’t ready to reflect on the successful season he’s authored at Washington because there are still games to play – starting with a Pac-12 Tournament first-round matchup against Oregon State on Wednesday. 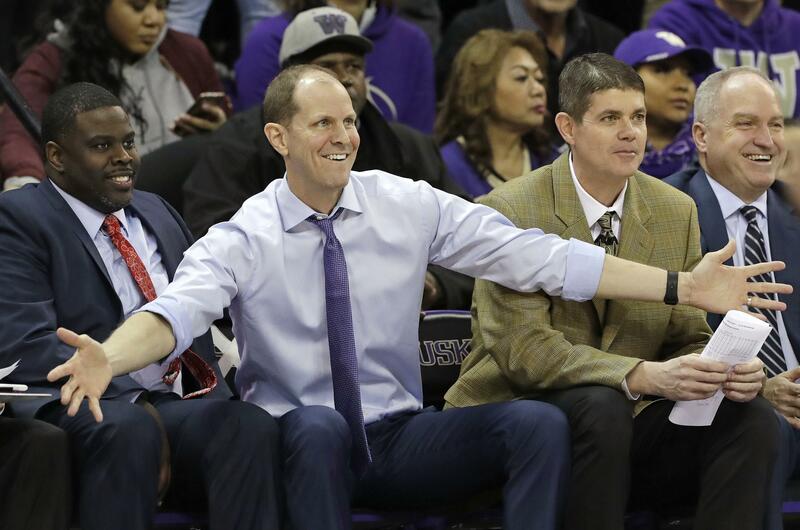 The Huskies men’s basketball coach doesn’t want any proverbial pat on the back for quickly returning the program to relevance after a season when UW was 9-22 and 2-16 in conference games. However, it’s difficult not to notice the transformation on Montlake pulled off by Hopkins, who won the Pac-12 Coach of the Year award in a vote by conference coaches. “Numbers don’t lie,” said junior guard Matisse Thybulle, the Pac-12 Defensive Player of the Year winner. The Huskies (20-11, 10-8) have made an 11-game improvement this season, second most by a Power 6 conference team. It’s the largest increase in wins between seasons for a UW team since the 1936-37 (15-11) and 1937-38 (29-7) seasons. “Coach Hop is an amazing coach,” said junior forward Noah Dickerson, a first-team All-Pac-12 selection. “You can see what he’s done. … He turned what we used to know and turned us into something totally new – something different. It took us a little while, but we finally bought in. And you see at this point we’re 20-11. I don’t remember the last time I won this many games in a season. Published: March 5, 2018, 6:02 p.m. Updated: March 5, 2018, 11:25 p.m.